Ok so I’ve been back in my beloved Leeds now for nearly a month. It’s been great and I am never leaving again. My running, however was almost non-existent. During freshers I’m not sure that can be helped, all time not at work was mandatory to be spent in bed. I made it out for a run once, with the Abby dash looming over me, and the spirit of Leeds uni vs Leeds met (or Beckett as they have now decided) making me want to do some sporting activity, I set off. It was nice and autumnal, I ran round a pretty area of Leeds, with big houses and fallen leaves aplenty. It was nice, but the glorious autumn sunshine has rapidly since disappeared, to make way for grey gloom and endless rain. Action had to be taken. 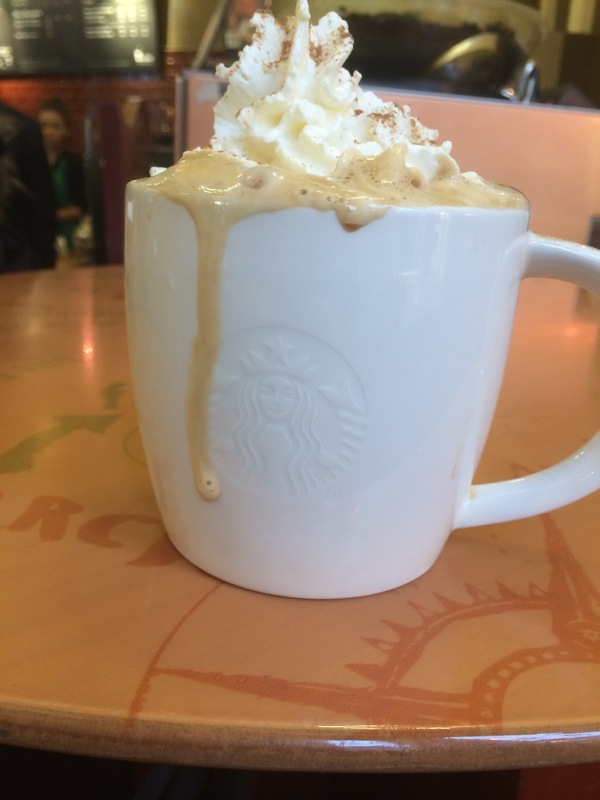 On the plus side, all this rubbish weather means it’s fancy hot drinks season, and as I don’t have a relevant running picture, please enjoy the pumpkin spice latte I indulged in yesterday. And so, despite my rant earlier this summer, I joined a gym. But you hate treadmills? Yes, that is true, but in this weather it seems to be treadmill or nothing in my brain. I’ve had my gym membership for a week and been 3 times covering a total of 10 miles so far. Not amazing, but a vast improvement on no running at all! And for £10 a month for all access membership I really can’t afford to complain. Plus going to a new gym is kind of exciting, and I’m sure the novelty will wear off. I’m generally impressed with the exercise4less chain, but I haven’t had time to go buy a padlock for the free to use lockers yet, so I do lament spending 20p every time I go on a locker! Alas, I will survive. So for now, it’s onwards and upwards!